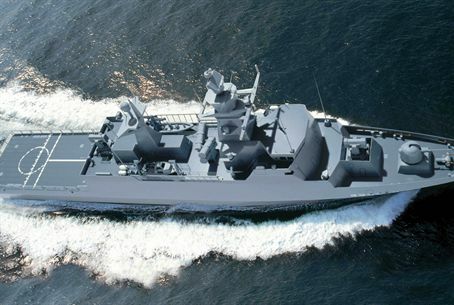 Israel hopes to acquire two multi-mission corvettes that would enable the navy to deploy further from home. Israel is hoping to acquire two multi-mission corvettes and arm them with air-defense capability. The creation of the world's first air defense corvettes will also give the Israeli surface fleet independent air cover for the first time, enabling them to deploy further from home. The CSL corvette, notes the trade publication, can be rapidly configured for different missions. The Meko CSL is 108 meters (354 ft.) long, with a beam of 21 meters and full-load displacement of 2,750 metric tons. Propulsion is by a combined diesel-and-gas/water-jet system, and endurance is 21 days. The vessel is fully crewed with 75 soldiers. It is expected that Israel will arm the vessels with the Barak 8 extended-range air-defense system from Israel Aerospace Industries. In addition, it will carry more missiles than the current Saar 5 class, and will be able to mount the Elta MF-Star 360-degree phased-array radar system, anti-submarine weapons and a helicopter.